Lately, there have been a number of news reports regarding the benefits of flossing every day. Some recent scientific studies have called into question the value of daily flossing, concluding that the benefits are marginal at best. So does that mean you shouldn’t floss every day? Probably not. Before you take the conclusions of these so-called scientific studies at face value, there are a number of things to consider. The first is the motivation of these studies. In the academic community, there is a lot of pressure on degree candidates to come up with new and innovative theories. For example, to be awarded a Master’s degree, a student has to develop an original thesis. Generally, the more extreme and iconoclastic this thesis is, the more attention it gets …. especially from the mainstream media. Flossing makes an obvious target for this type of counter-thinking study because most people don’t like to floss. It’s inconvenient, time-consuming, and sometimes painful. So when a new study comes along that says that flossing may not offer the benefits first believed, it’s a sure thing that it’s going to get picked up widely even if the news story is simply based on an unproven theory. The truth is that flossing is beneficial, regardless of any “breaking news” to the contrary. All you need to do to prove it is to floss. 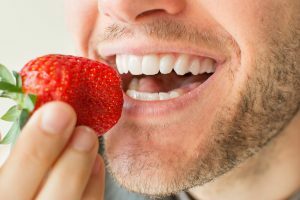 Flossing removes food particles that can become trapped between your teeth, especially between the upper and lower molars in the back of your mouth. When you floss, you can physically taste these food particles as they are removed. Frequently, they taste awful like the bad breath that they can cause. Flossing can help eliminate bad breath and reduce the bad bacteria that forms in your mouth. So when it comes to reports that flossing isn’t effective, the proof is in the act of flossing.